Maple syrup is another ingredient that does not need to be replaced in a recipe; it’s already Paleo! I love using a mixture of maple syrup and honey as liquid sugar to provide a more neutral flavor as neither one overwhelms the palate. Unless you are trying to decrease the amount of sweetness or sugar in a recipe, then the ratio of wet to dry ingredients will need to be adjusted. Like any of the Paleo approved sugars, what is important is not necessarily the sugar that I chose to use in the recipe. Instead, it is the amount of the recipe that you consume. Maple syrup is awesomely Paleo, as it is a natural sugar that has been extracted from maple trees for thousands of years. 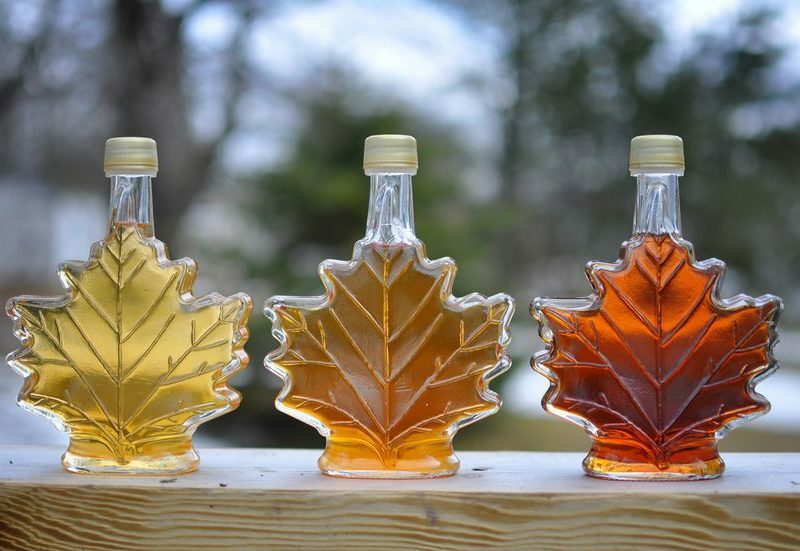 There are a few different forms of maple syrup that I want to make sure you’re aware of. Grade A is separated into three different categories: light amber, medium amber, and dark amber. Grade A has gotten a better reputation, but it’s actually a bit of a misunderstanding! Grade B is the darkest, because it is harvested at the end of the season, and therefore has the most nutrition! Not only does maple syrup taste fantastic, but it’s an awesome source of micronutrients! When you buy grade B maple syrup, you get a lot of minerals, including manganese and zinc. Other trace minerals include calcium, potassium, and iron. Another amazing thing about maple syrup, especially grade B, is that it contains up to 24 antioxidants!! But, it’s important to remember that maple syrup is primarily a sugar!! Since we know that sugar can be very pro-inflammatory and is not a good recommendation for people with blood sugar regulation issues, maple syrup should really be put in the “treats only” category. You can find maple syrup in the breakfast section of your grocery store, or you might find it locally at the farmer’s market. You can also order it on Amazon.